Read the full feature article online. Rebuilding the World Trade Center site was a monumental endeavor, both technically and symbolically. This in-depth feature from the Architect magazine website on One World Trade Center highlights its design, safety & security noting that it is, “Safe enough that it’s serving as a model for future high-rise construction.” Benson Industries contribution to the building’s high-tech curtainwall is mentioned. Above the podium, Skidmore, Owings & Merrill (SOM) set out to make One World Trade Center transparent, literally. “Daylighting is important, but glass buildings were thought to be inefficient,” SOM’s TJ Gottesdiener says. The firm found an ultralow-iron glass from Viracon and curtainwall manufacturer Benson Industries that looks transparent from the interior and is finished with a low-E coating on the outermost of the three panes. Designed to resist extreme wind and blast forces, it includes laminated and tempered glass in five thicknesses—the thickest near the building’s base and at its top. Steel reinforcing rods hide within the aluminum mullions. Read the full feature article online at the Architect website. 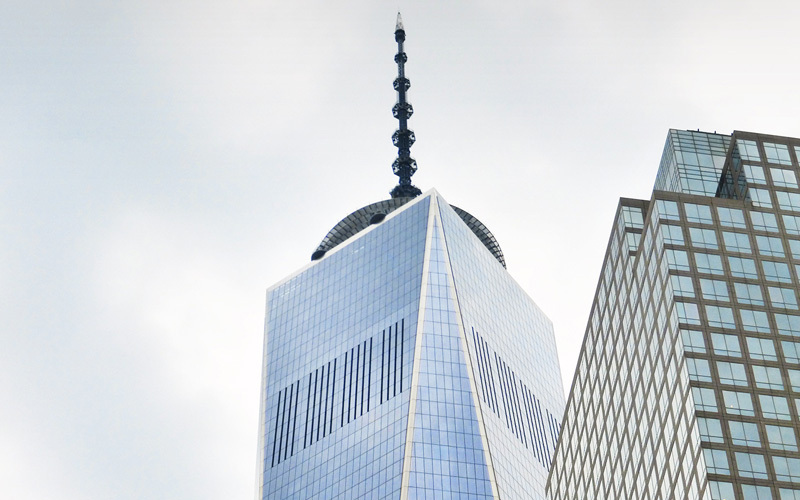 Click here to read more on our website about Benson’s work on One World Trade Center.